"I would say it is hard to look at this president's actions and believe that they're the actions of somebody who believes in God"
Well, this is going to draw some attention, especially from the president’s most fervent supporters and his white Evangelical voting base. In an interview with USA Today’s Kirsten Powers, South Bend Mayor Pete Buttigieg spoke about his devotion to Christianity while contrasting that with the religious right’s push God to be more prevalent in public life. After stating that right-wing Christians spend so much time on things “Christ said so little about, and so little about what he said so much about,” the ascendant Democratic presidential candidate addressed President Trump’s spirituality. Or should we say, lack thereof. 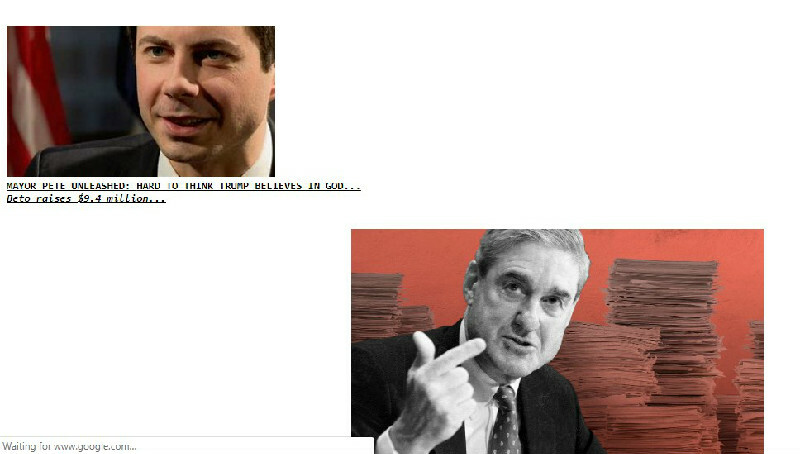 If you think this won’t become a point of contention in right-wing media and prompt conservative talking heads to take aim at Mayor Pete, you should probably take a look at the top of the Drudge Report. Read the rest of Powers’ interview with Buttigieg here.